We’ve got the exclusive premiere of the new track off Where Did You Get That Milkshake?, the US debut from Dublin, Ireland’s No Monster Club. The tune is “Hippocampus Circus Maximus” and that’s a fitting title for a song that has traces of world rhythms and is jaunty and fun enough to find itself being played under the big top. This isn’t to say the tune is all calliopes or trumpeting animals, but rather a whirligig of bright, chiming tones as heard through an indie rock prism. “Hippocampus Circus Maximus” opens with a cheery electric guitar riff that nevertheless manages to convey the fragility of the instrument. This isn’t some impeccably produced digital version of a guitar, this is a raw and real instrument that, when combined with the rest of the band, can still generate enough emotion and power to get people moving. And move you will as the tune picks you up and pulls you along on its exuberant, vibrant march with lyrics far less sunny chronicling disbelief of death, the bliss of ignorance clearly portrayed by the musical celebration itself. 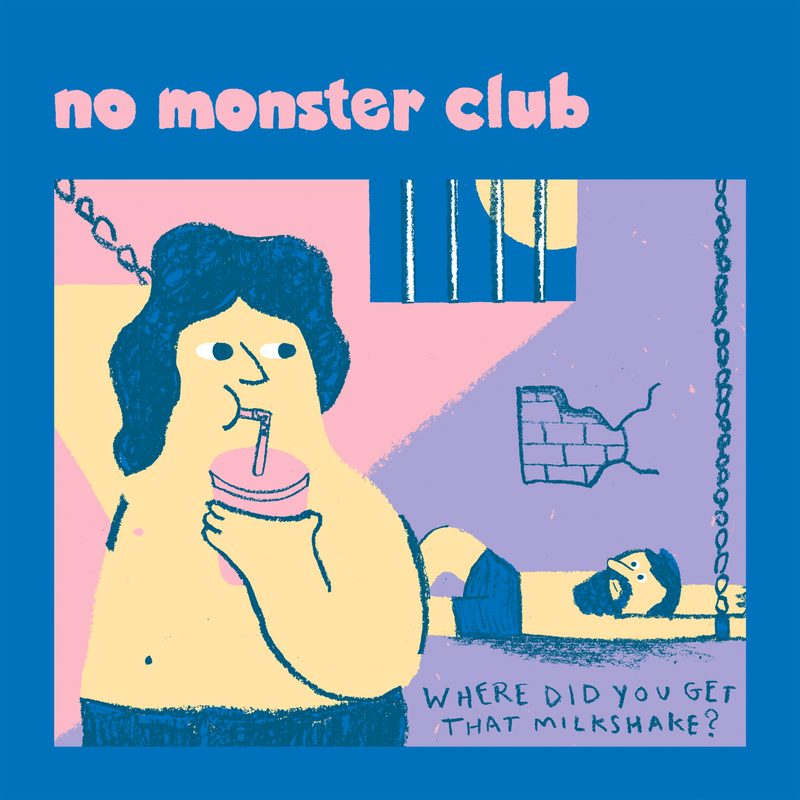 Tags: hippocampus circus maximus, no monster club, Where Did You Get That Milkshake?